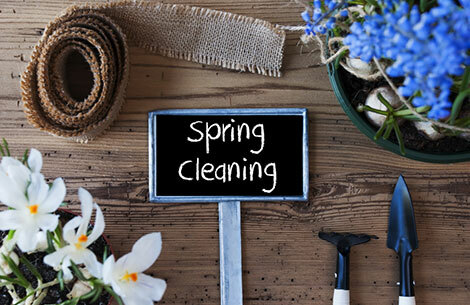 Spring is here and it’s time for some spring cleaning. That goes for your career strategy as well. Have you given any thought to trimming your bloated, outdated resume or banking some of your new networking contacts to help advance your job prospects this season? Here are 7 easy steps you can take right now to get your career on course and ensure you are prepared for future opportunities. Ditch toxic people. You know the ones I’m talking about. They are the people who say no one is hiring, you’re too old to find a new job, you make too much money, you’d be crazy to change careers…the list goes on and on. These people rarely add any real value to your career goals. Find people who can support you or hire a professional to help you chart your career course. Put your resume on a diet. Has the waistline of your resume expanded to 3+ pages? Are you still dedicating a half page to detailing information about your client base in 1999? Is you resume packed with information about company courses you completed back in the eighties? Remove this unnecessary poundage from your resume and create a sleeker, more streamlined message of value. If you like to diet alone, here’s a resume guide to help you. And if you need someone to help you whittle your resume down to a respectable size, let me know. Give your LinkedIn profile a makeover. How old is the picture on your profile? Does it need to be updated? Is the information current? Does the headline show only your current job title or does it convey more about your message of value and expertise? Have you paid attention to the skills section and have you created a customized URL to improve your chances of being found? If you are totally baffled by LinkedIn and social media in general, we should talk. A resume is no longer enough and you will need a strong online identity to compete for the best opportunities in 2017. Make new friends. Has your network gone stale? Do people in your professional community know what you are up to and do you communicate with them regularly? Now might be a good time to catch up by phone, grab coffee, or exchange an email to touch base. Practice interviewing. If a great opportunity became available tomorrow, would you be ready to pitch yourself to a hiring manager? If not, here’s a free app for interview prep that can help. Benchmark your salary. Do you know what you are worth? Have you been in the same job or same company for a long time and has your salary become less competitive? Check out sites like Payscale and Glassdoor to do a quick audit. Do something for someone else. Help someone with a personal or professional project, volunteer in your community, recommend a colleague on LinkedIn, or make an important introduction for someone. The more you give, the more you get. Start giving now and you’ll be getting back by the end of the season or maybe even sooner.